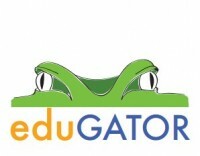 I am an Associate Professor of Educational Technology and Director of the NeurAL Lab in the School of Teaching and Learning at the University of Florida. I earned my Specialist degree in teaching English and German language and literature and Masters in Linguistics at Nizhyn Gogol State University in Ukraine. In 2007 I defended my dissertation and graduated with a PhD in a) Curriculum and Instructional Technology and b) Human-Computer Interaction from Iowa State University. I was fortunate to work with Drs. Dale Niederhauser and Ann Thompson as my co-advisers and grow as a researcher in the Center for Technology in Learning and Teaching and Virtual Reality Applications Center. My dissertation focused on the use of link comments when learning in a nonlinear conceptually rich hypertext environment. I enjoy working with students. Our scholarship focuses on a) developing, implementing, and studying frameworks and technologies to encourage and scaffold meaningful learning and 21st century skills, and b) psychophysiological assessment of cognitive processing to optimize the design of technology-enhanced learning environments. This work has been funded by state and federal agencies including the National Science Foundation and the National Aeronautics and Space Administration. Our research has been published in Educational Technology Research and Development, Computers and Education, Educational Psychology Review, Computers in Human Behavior etc and presented at multiple conferences. If you would like to collaborate or have any questions about our work, feel free to contact me. My scholarship is guided and contributes to the cognitive and socio-cultural theories of learning including theories of cognition (e.g., theories of human memory and information processing), motivation, metacognition, affect, problem solving, distributed cognition, and situated cognition. I have conducted empirical studies using a variety of research methods including between and within-subjects experimental designs, phenomenology, grounded theory, content analysis, discourse analysis, multilevel modeling, data mining methods, surveys, as well as mixed-method designs. I have designed multiple educational technologies from link annotation scripts to drag-n-drop apps for mobile and touch platforms, to complex online learning environments. I use rigorous design methods and models, knowledge of human cognition, and principles of effective user experience design. Too many learning technologies are designed based on solid educational research and theory but ignoring basic usability guidelines. To be useful, a technology has to be usable. I am deeply interested in using and helping define user-centered design principles in educational technology research and development. A Grand Number of Grants. Pasha Antonenko has an extra $4.5 million in grants for his research. 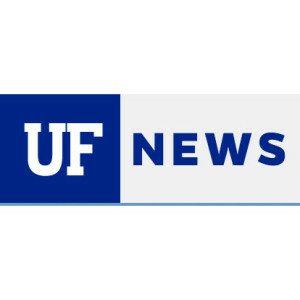 Antonenko, a UF education professor, has received four research grants from the National Science Foundation, a federal agency that funds projects supporting science, education, technology and mathematics research and education. A fifth grant is pending official announcement. This is a new record for a College of Education researcher. But he didn’t apply for the grants with this goal in mind. "I guess I’m proud, but on the other hand I wasn’t applying to these grants to set a new record," he said. "I was applying for grants to get funding to do interesting, cutting-edge research." UF education technology faculty researcher lands record number of NSF grants. A UF College of Education faculty member has scored four National Science Foundation research grants – with a fifth award pending official announcement – all in the same funding cycle, setting a new record for a COE researcher. The $4.5 million in total funding awarded to Pasha Antonenko will be applied to research projects using a wide range of technologies in learning applications including 3-D scanners and printers to study prehistoric bones, drones to study construction projects, and computerized simulations to study the human body’s reaction to a wide range of stimuli. Education professor wins $1.2 million grant to lead UF team on 3-D paleontology technology project. 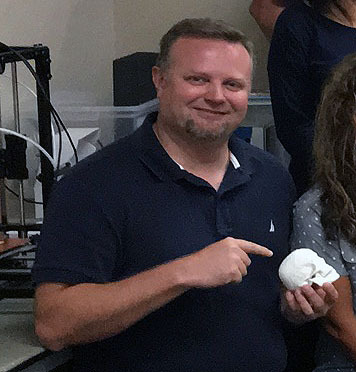 University of Florida educational technology researcher Pasha Antonenko is leading a team of UF scientists from multiple disciplines to create a novel curriculum for the middle and high school grades and assist paleontologists working on projects worldwide. Called “iDigFossils,” the project will allow middle- and high-school students who are studying fossils to scan them in three dimensions and upload them to virtual collections that paleontologists and others can access worldwide and reproduce using 3-D printers. It is a collaboration with teachers and students in 10 public schools in California and Florida. GED Tests Going Digital — And Getting Costlier. 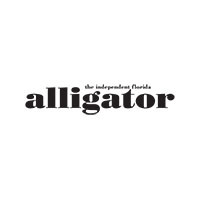 Pasha Antonenko, an assistant professor of educational technology at the University of Florida, said he was intrigued — and a little surprised — by the gap in results between computer and paper test-takers. "This is the first time I've seen such a big difference," he said. It makes sense, he said, because people are learning more digitally than in the past. Antonenko, P. (2015). Neuroscience and learning. In J. M. Spector (Ed.) Encyclopedia of educational technology (pp. 538-542). Thousand Oaks, CA: Sage.